Plastic ring carriers and shrink wrap will be also removed from packs of Harp, Rockshore and Smithwick's beers, as part of Diageo's £16m initiative. 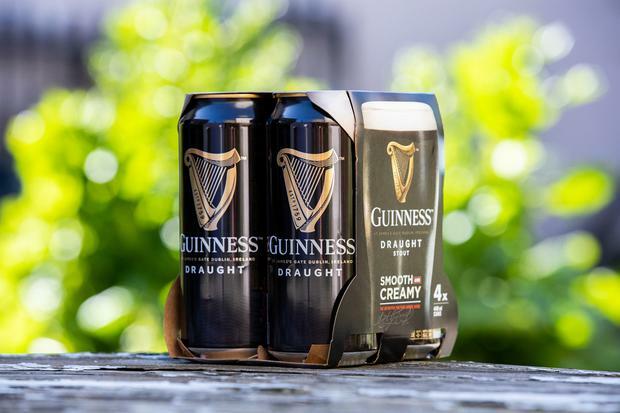 Diageo has pledged to purchase all of the pulp used to make the cardboard packaging, which is classed as widely recyclable and fully biodegradable, from sustainable sources. The multi-can packs will be replaced by cardboard packs. The plan is then to supply global markets including the United Kingdom with the new cardboard carriers by 2020, resulting in a staggering 400 tonne reduction in plastic use across the brewer's packaging chains. Mark Sandys, Global Head of Beer, Baileys and Smirnoff, said: "For 260 years Guinness has played a vital role in the communities around us".